On a steamy Wednesday night in Havertown at the Oakmont National Pub, local home brewers and beer appreciators gathered for the second annual Oakmont Cup Philly Beer Week home brew competition. This year’s competition was based on wheat beers – and the creativity of the brewers themselves. Defending his crown from 2010 Elliott Vansomeron brought a passion fruit infused wheat beer, but he was unseated by Christa Taylor with her turn on the classic wheat style. Once again John Reagan placed second – tied this year with Matt Peiters of the new Main Line Brewers club. 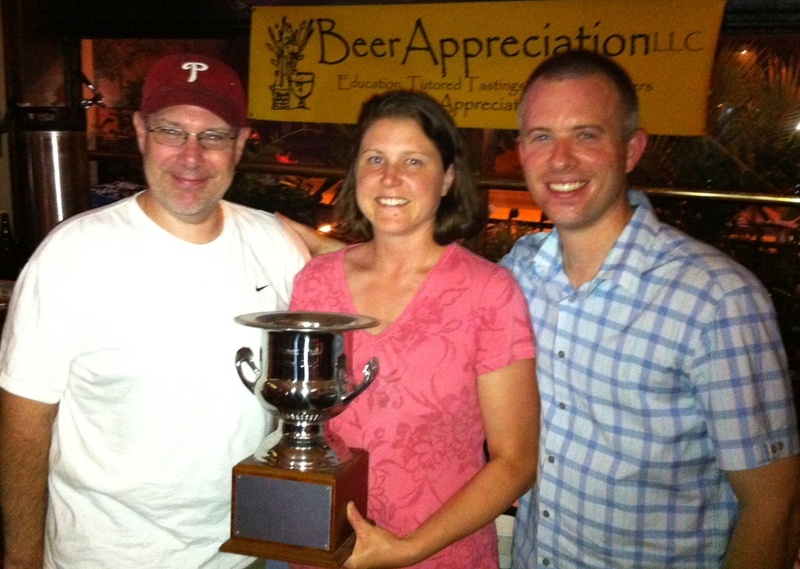 For those who remembered their votes, that was Christa at beer # 5, John at #2 and Matt with # 8 (Christa took this years cup with 197 points, with Matt and John at 196!). 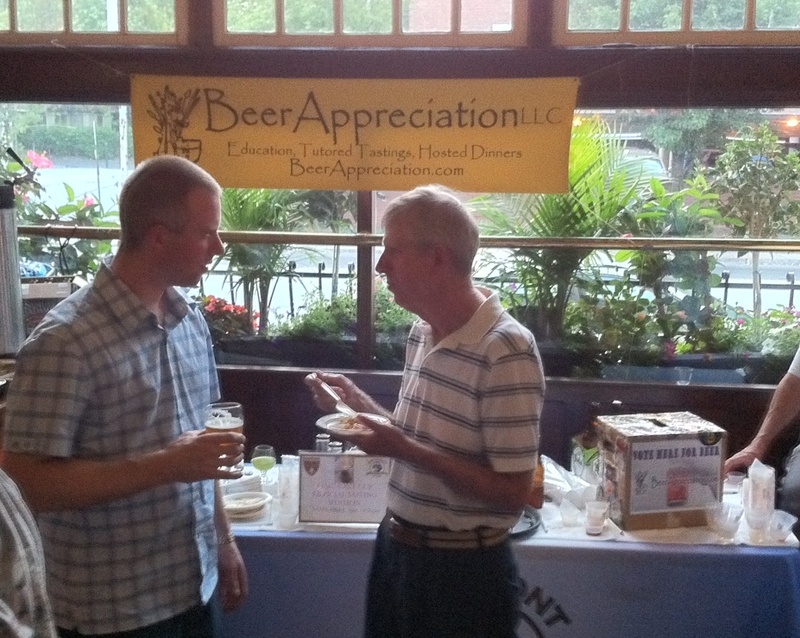 Last year we had about 30 voters, this year 58 beer appreciators cast ballots, with over 400 samples poured. Thanks for the organizational (and serving) talents of John Reynolds of Brew Your Own Beer and our host Brendan Goggin from the Oakmont Pub. Also thanks to the other great home brewers who made some memorably good wheat beers for the event – Brian Palmer (“The Darkside”), Todd Delevan (“Mr. Berlinner”), Ralph Geslao, and John Larkin. Comments from the patron tasters included “Lemony!”, “Pomegranate?”, “I like the orangey flavor”, “Hoptastic!” and “Loved it, a classic”. Join us again next year as this Philly Beer Week tradition grows each year, with great beer and great fun.